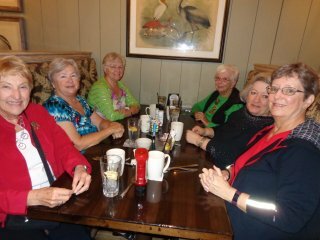 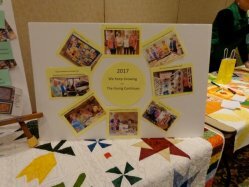 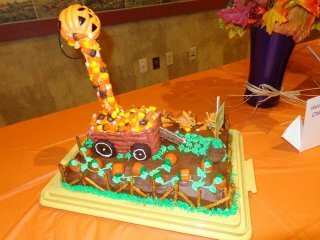 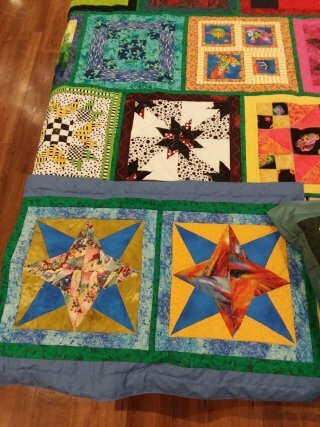 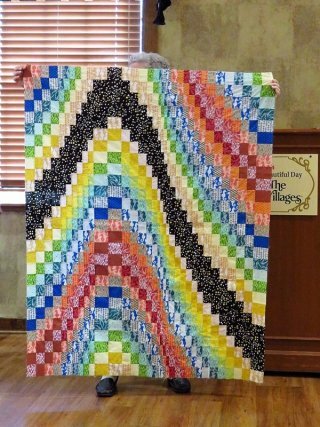 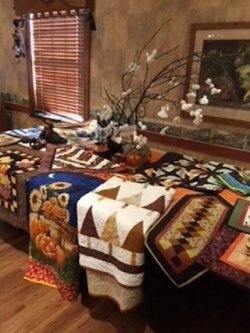 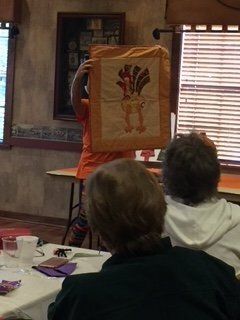 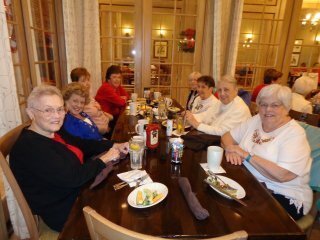 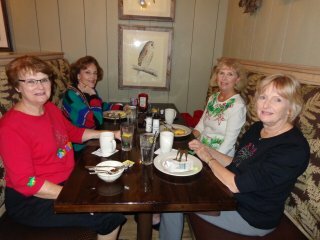 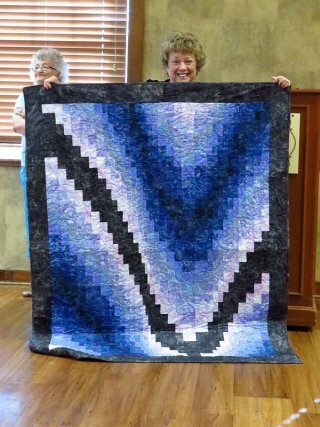 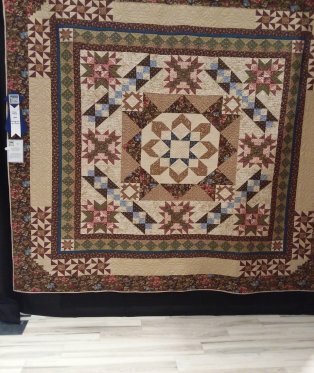 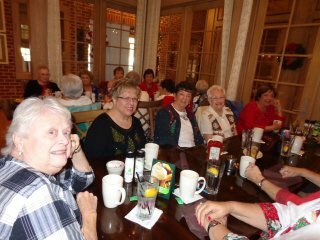 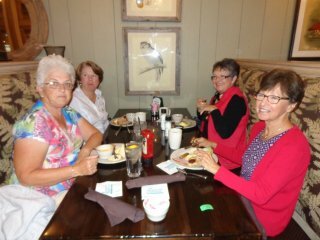 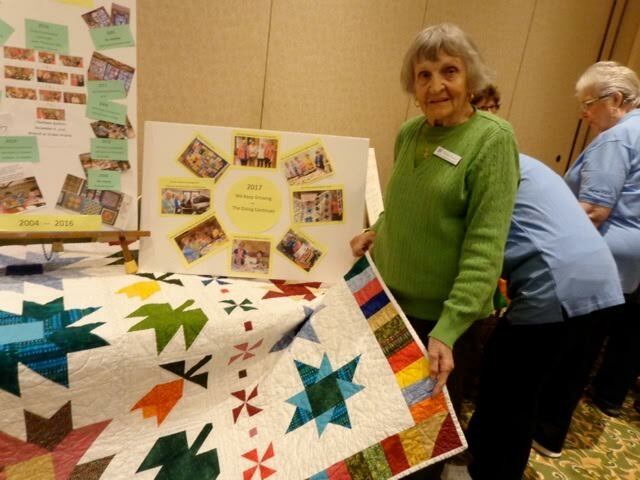 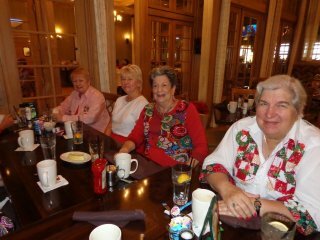 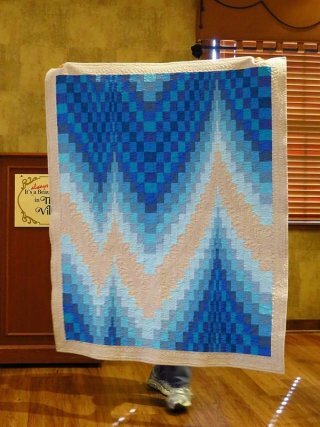 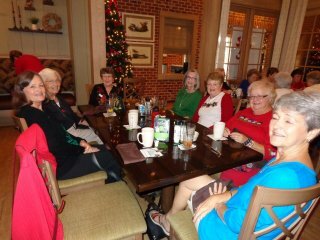 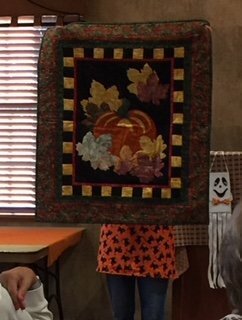 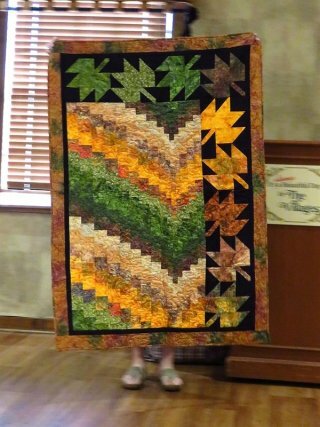 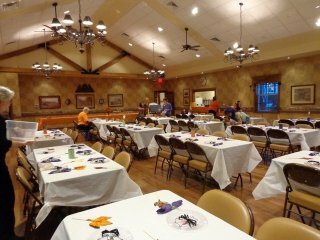 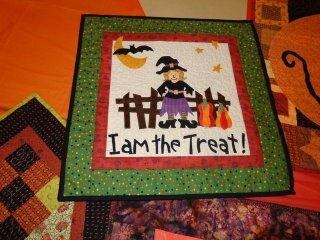 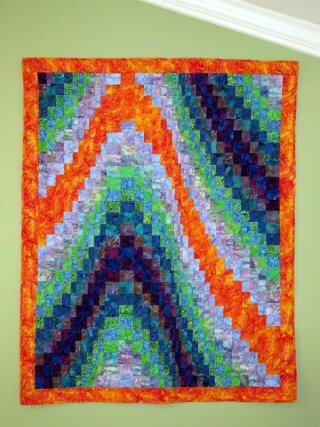 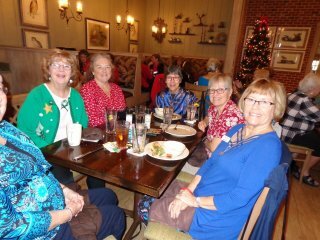 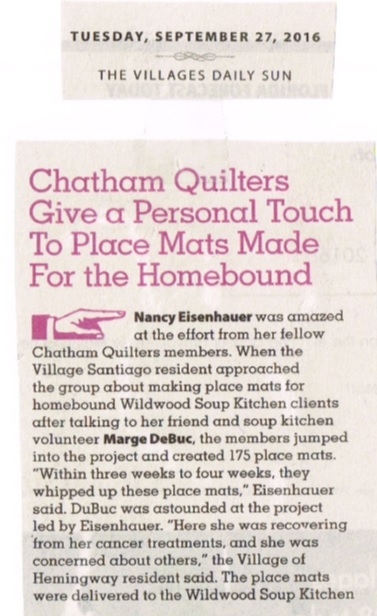 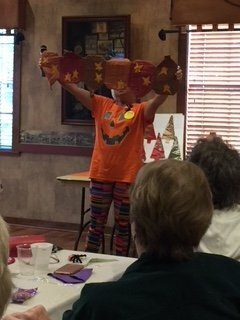 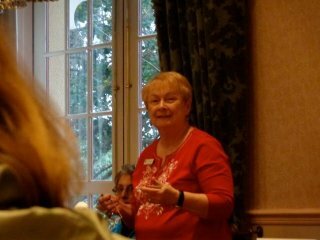 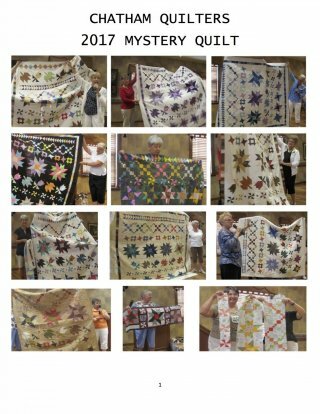 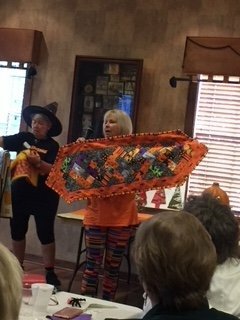 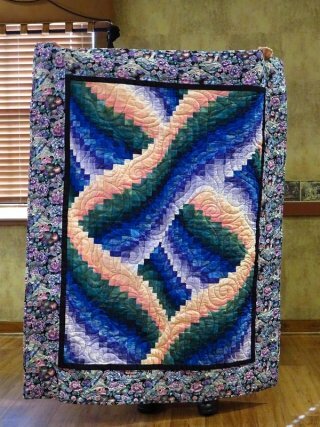 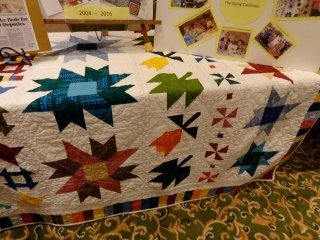 Chatham Quilters Chapter of the Quilting Guild of The Villages was established in March of 2003. 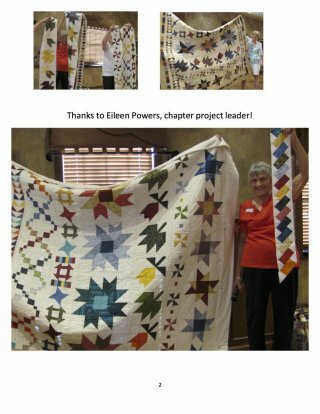 This chapter is dedicated to promotion and perpetuating the appreciation, enjoyment and knowledge of quilting as a art form and craft. 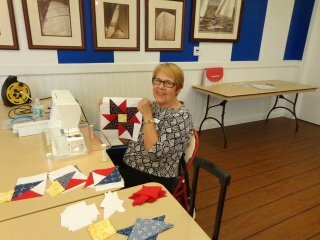 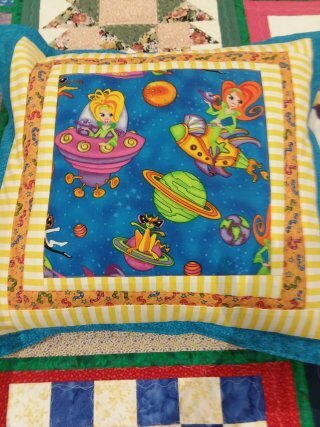 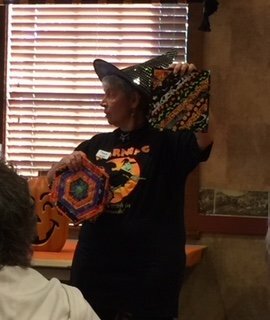 We welcome anyone interested in quilting. 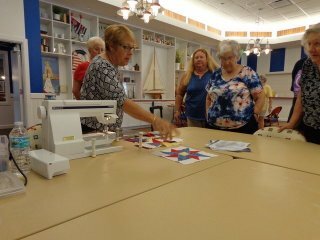 Some of us are experienced quilters and some of us are beginners. 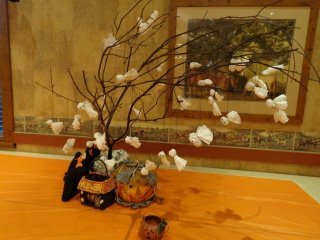 We are all eager to learn from each other and encourage and help each other. 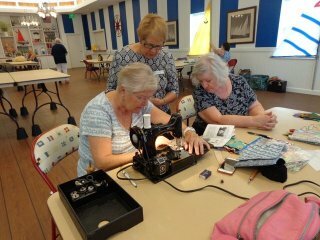 Joanne and Cookie checking out the new old machine sews. 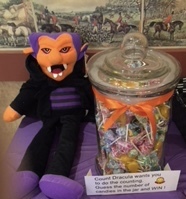 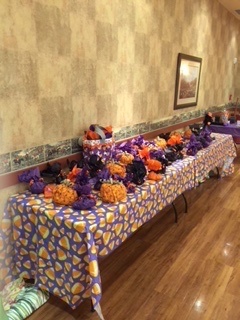 Guess How Many Candies are in the Jar?